Resident and prominent blogger Honour McMillan explores Ravens Mist in Second Life. Check out her photos and travels on her blog. "Two sims full of art on a fantasy landscape, I couldn't resist. Ravens Mist is Katz Jupiter's gift to those who love to poke around and find great art in a completely unnatural setting - well it's unnatural if you think art has to be in a walled gallery or organized in nice neat display areas.﻿"
Check out the August 16 SL Flickr Pic of the Day﻿: "Emery&taketomi Snapshot_41086"﻿ by larcoco. 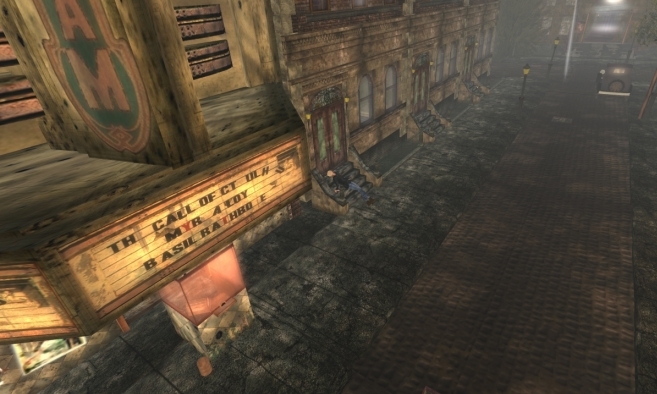 Check out the August 15 SL Flickr Pic of the Day﻿: "Steam Punk," by Cade Nansen. Check out the August 14 SL Flickr Pic of the Day: "Fringe Top (with beads)" by Izzie Button. 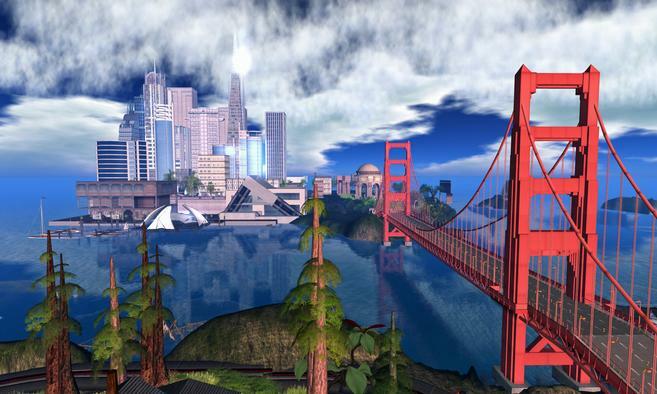 "The 7th annual Second Life Community Convention 2011 begins today!﻿...Those attending SLCC remotely can check out the IN-WORLD PAGE for SLurls, schedules, streaming video, and more information for virtual attendees.﻿.." Keep reading. Does your campus have a cool 3D exhibit created in SL? Or do you have a unique learning experience or research project that you want to share with a larger audience? Tell us about it! As the new semester approaches, Linden Lab ushers in the new school year with a celebration of the best in interactive academic offerings in SL. Starting on Aug. 15, we’ll debut the Academic Showcase – a new, limited-time Destination Guide category that aims to spotlight some of the many interactive learning exhibits, online education events, and other academic pursuits in Second Life. This opportunity is open to all SL venues that house 3D learning projects – so it isn’t limited to real-life universities. 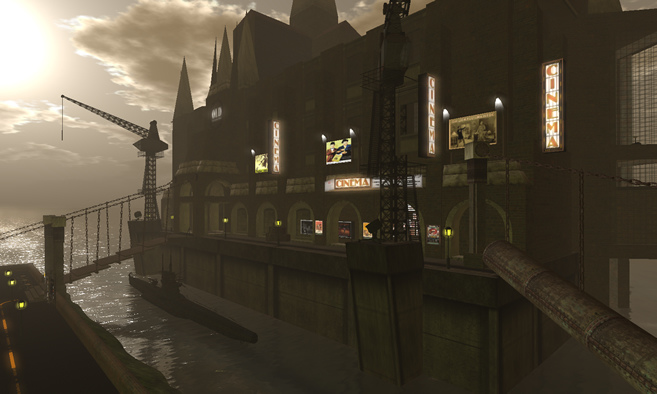 To contact the Second Life editorial team, use the Destination Guide Submission Suggestion form with a description, SLurl and suggested image that represents your project. 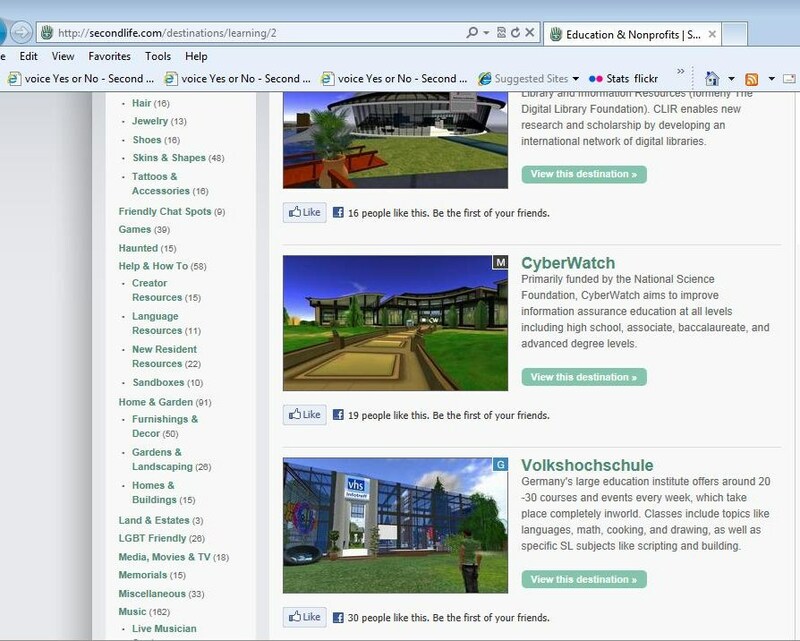 We’ll be rounding up the best submissions for inclusion in the Academic Showcase, which will soon be accessible on the Destination Guide on SecondLife.com and inside the Second Life Viewer. 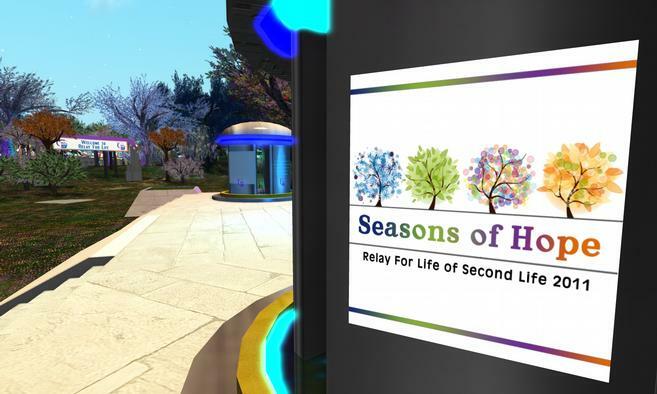 One of the most powerful examples of community in Second Life is the annual Relay For Life event, which helps raise money for the American Cancer Society’s fight against cancer and to celebrate the lives of people who have battled this disease. Over the past few years, more than $1 million real-life U.S. dollars has been raised in Second Life for this important cause. We hope you’ll take a moment to visit and participate in this Second Life community-organized event. July has arrived... and things are starting to heat up for the Linden Endowment for the Arts (LEA). This month, there are tons of exciting activities and updates as the LEA community brings you two fun events: Month of Machinima and the LEA Avatar Art Games. Produced by the LEA in partnership with the Second Life community, the Month of Machinima (MoM) event is a monthly screening of the best of Second Life machinima. This event, which began in May, continues to accept submissions each month to be considered for the next month’s screening. 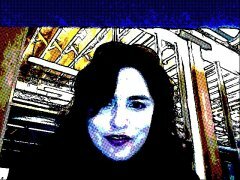 Whether you are an aspiring or established machinima artist — or someone who just enjoys watching videos — MoM offers an awesome viewing experience for those who enjoy this now-established creative art form. These videos get better each month -- and word is that July’s are among the best ever! See this month’s submissions debut July 6 at 10 a.m. in the LEA Theater. Don’t forget the popcorn! For more info on the Month of Machinima, check out the official wiki page or YouTube channel. Or, visit the LEA Theater now to watch some videos! If you enjoy those intense -- and often hilarious -- televised human-obstacle games, such as “Wipeout” or “Takeshi’s Castle/MXC,” then you won’t want to miss the live Avatar Art Games event each Monday at 4 p.m. (Pacific). Watch as participants run through the obstacle course and the audience tries their hardest to to slow them down! Check out the sign-up sheet on Thursdays for contestants and audience participants. Find out more on how to participate on the official LEA Avatar Art Games wiki page, or head on over to the Avatar Games now to check out this super-challenging obstacle course! Not familiar with the Linden Endowment for the Arts? 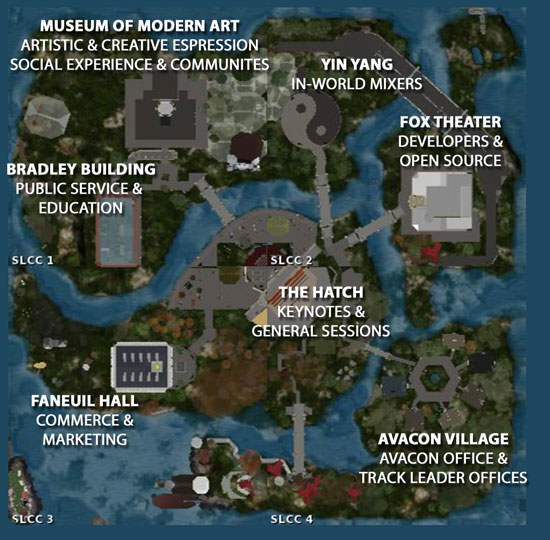 The LEA was established to help create a center for arts activity in Second Life. It is a collaborative venture between Linden Lab and the arts community. Guided by a dedicated board of renowned Second Life artists, many of whom are highly-accomplished artists both inworld and recognized by their “real life” peers, the LEA is committed to providing access to engaging experiences in the arts for the Second Life community. Through its exhibitions, programs, and events, the LEA fosters awareness of artists’ contributions to our virtual world and encourages others to get involved and be inspired. Second Life’s 8th Birthday celebration kicks off at 10:30 a.m pacific time! The community has really created a fabulous celebration that you won’t want to miss. There are so many ways to have fun and stay on top of the action. Take a look at the Second Life Birthday page for information on featured events and live twitter content. 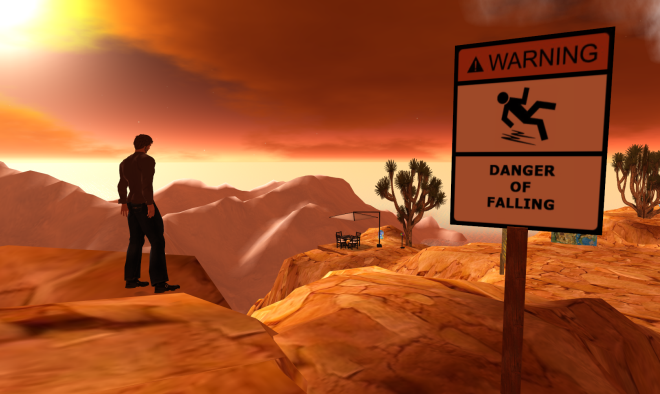 Another great place to read up on birthday happenings is the community run SL8B blog. They have SL8B photos, blogs and news! We have a winner! We’re thrilled to announce that Abigale Artful is the winner of the Linden Dream Home Sweepstakes. We took her down to see her new digs, a beautifully appointed Linden Home on an exclusive double-parcel with a landscaped yard and adjoining pool. We didn’t arrive empty-handed: We gave her the L$5,000 furnishing bonus—a great housewarming gift, don’t you think? The house may be empty now, but the bonus will certainly help her to set up housekeeping in style. And there’s still a garden to plant! What does she plan to do first with her new place? Decorate, of course! The Linden Endowment of the Arts (LEA) is offering three ways to get more involved in the arts in Second Life. Whether you like to build or simply enjoy being part of a creative experience, the LEA has some fun things in store for you in May and June. Floating cows, tornadoes, and butterfly kites—oh, my! You never know what you might see at the LEA Art Sandbox, which is now officially open to the public. 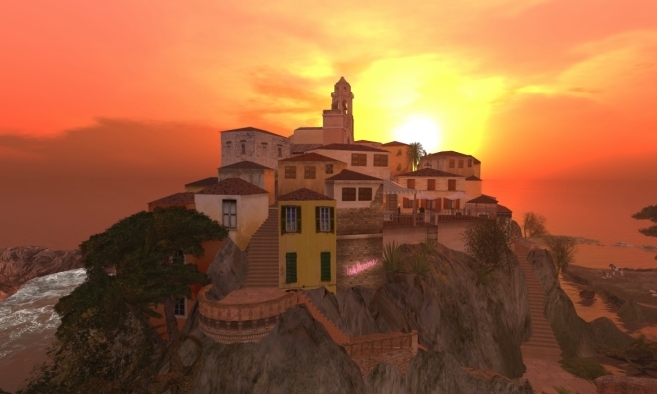 The LEA exists to help people understand and create virtual art in Second Life. 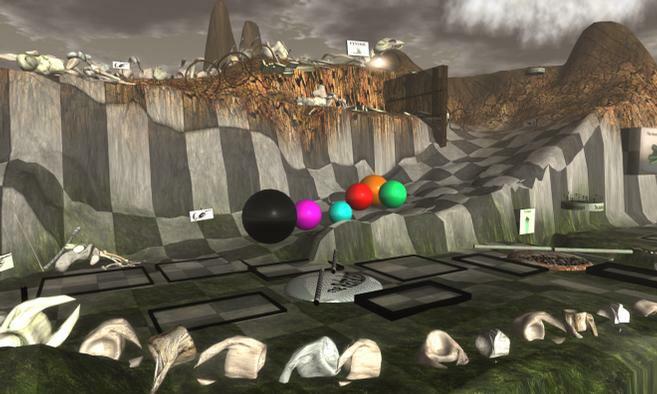 Therefore, the LEA Art Sandbox has been created for the same purpose, by giving Residents space to build and play and experiment with the tools of Second Life as a medium for artistic expression. The objective of MoM is to stimulate the creation of new Second Life machinima and introduce the community to the machinima art form. In case you missed last month’s opening event, you can still view the jury-selected, community-created machinima for May on the Month of Machinima YouTube channel. If you’re a creative type who likes to virtually sweat, the LEA Art Games (aka Avatar Games) might be just the thing for you. They’re called the Avatar Games because they’re really a “physical” challenge for your avatar—having to successfully run through a gauntlet of objects and artful environments to reach the end. It’s a marriage of artful builds and a silly footrace—making it accessible to those who admire inworld aesthetics and good, clean fun. The Games involve an an art obstacle course on the LEA sims. One competitor runs the course with one referee monitoring from the platform, and the audience is given special guns with scripts for shooting at the competitors (the bullets don’t cause damage; they just slow them down). The Avatar Games kick off (pun intended) Monday, June 6 at 4:00 p.m. To sign up for a spot as a competitor or a participating spectator, visit the LEA Avatar Games wiki page. And if you don’t get called for an active role, just come down to the Games each Monday at 4:00 p.m. PDT and you just might get picked out of the crowd! This is your chance to show the virtual world how amazing you are! This is SL8B—Second Life’s 8th Birthday bash—and we have 20 regions dedicated to the birthday event where you can make your mark. Whether you’re a performer, artist, educator, mentor, social butterfly, designer, business owner, or media maven, SL8B is your time to shine. We’re counting on you to share your talents in the spirit of our theme this year-- “Magic of Second Life.” You know. It’s that magical moment when the virtual light bulb turns on like when you made your first strong connection with a friend or when you realized that you were part of the community--the Second Life culture. The deadline to apply to be an exhibitor, a performer, or a greeter volunteer is tomorrow, May 20th. Visit our SL8B wiki page to learn more about the theme and apply to officially participate in the event. 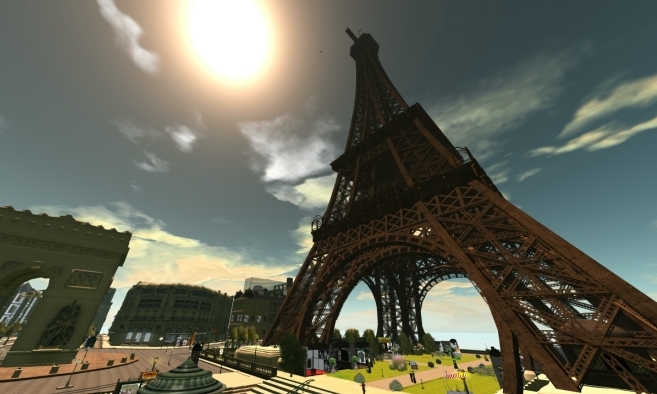 Our virtual world, Second Life, turns eight this June. Wow! Our hard-working team of Resident volunteers and Lindens have been busily preparing for our annual birthday bash—laying down the groundwork (literally) for us all to celebrate. The event kicks off at 10:00 a.m. SLT on Monday, June 20 and runs through Sunday, June 26 with a glittering assortment of musicians, speakers, artists, business leads, media mavens, merchants, social organizers, and other amazing Residents like you. This year’s theme is the, “Magic of Second Life.” No, we’re not just talking about wizards and sorceresses (though of course they’re included). 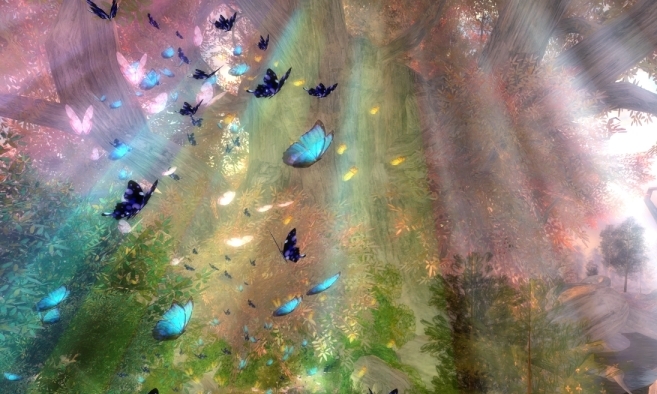 The true magic of Second Life is something different for each of us. 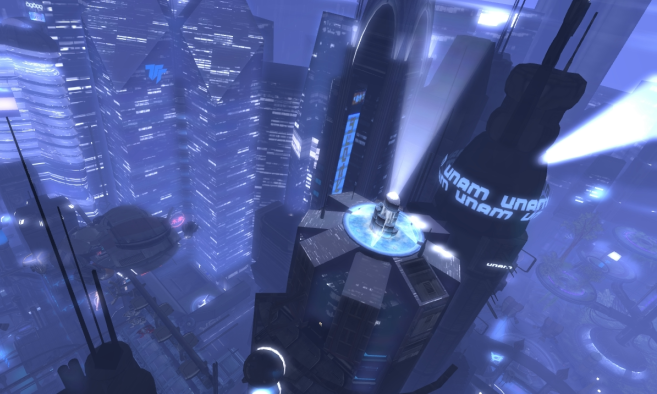 It’s all about that moment when we realized how amazing Second Life really is. It’s when we found our own personal connections to Second Life, realizing its potential in our own lives and the lives of others. 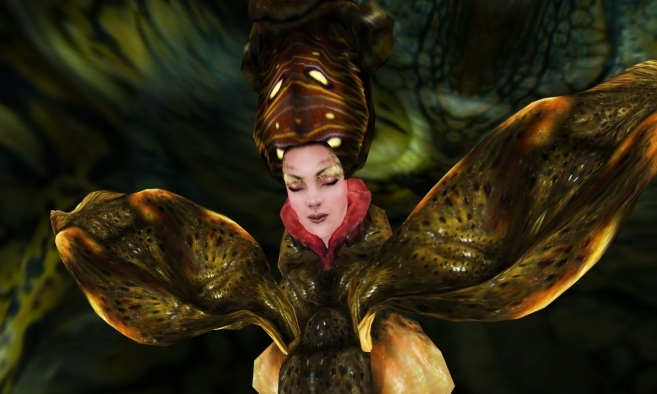 Whether it’s the social aspect, the content creation possibilities, or unique business and commerce opportunities, we’ve all got a tale of Second Life magic to share. Now that you know the theme, you know you want to get involved! We have 20 sims reserved for themed exhibits, amazing builds, fantastic music and entertainment, and for wonderful volunteers to make this the best birthday party ever. Visit our SL8B wiki page for our exhibitor application, entertainment application, and volunteer greeter application and deadlines. Don’t miss a thing: Join the Second Life Birthday group inworld (now open) for the latest updates on the festivities. Time to get your bunny tail over to our all-day music festival! We’ve got a full line-up of DJs and live music performances from 6:00 a.m. SLT to 7:00 p.m. SLT today only. Read all about it here! And while you’re there, be sure to check out the dozen winning eggs from the Bunny Jam egg decorating contest. Congratulations to the following Residents for their unique designs! We’ve tabulated the votes from the community for the #1 egg—drum roll, please! Congratulations to Aria Meridoc, who won the top L$10,000 prize! We hope you all had a good time on the hunt! 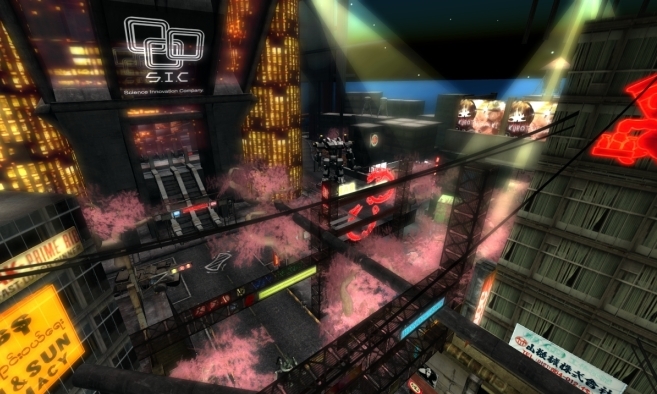 Enjoy the music—and have a very happy spring in Second Life! Many thanks to everyone who took the time to show off their creative talents in the Bunny Jam egg decorating contest! It was no easy decision for the judges, who received and reviewed over 300 eggs—but the results are in, and the winning dozen are on display! We’ve got a special prize of L$10,000 for the #1 egg in the contest, and we need your help to pick the best of the dozen! Check out the dozen winning eggs on display here and here. You can click on the voting kiosk set up by the eggs and vote there, or you can vote here after you’ve selected your favorite. The Bunny Jam egg scavenger hunt kicks off tomorrow, April 21, at 9:00 a.m. SLT, featuring copies of the 12 winning eggs from the egg decorating contest. Not sure where to start? Check out the Bunny Jam Destination Guide for tips on where to begin. Remember: Each egg (and that L$5,000) can only be found once—so good luck, hunters! The Bunny Jam music event happens on April 25 from 7:00 a.m.-7:00 p.m. SLT. Check here for the full lineup of live music and DJs. Be sure to share the latest with your fellow Residents by using the #SLBunnyJam hashtag on Twitter—so they can follow the fun! And if you’re still looking for something festive to wear to Bunny Jam (or for any other springtime events you’re attending), feel free to pick up the bunny ears, bunny slippers, and bunny tail that are all available for free in Shopkeeper Linden’s store on Marketplace. Spring has sprung in Second Life! And we have some great ways to celebrate the season with our Bunny Jam event, kicking off April 11. With an egg decorating contest, egg scavenger hunt, and an all-day music festival, Bunny Jam is an event you won’t want to miss! The egg template is available on Shopkeeper Linden’s store on Marketplace. Once you’ve got your egg, it’s time to get creative! 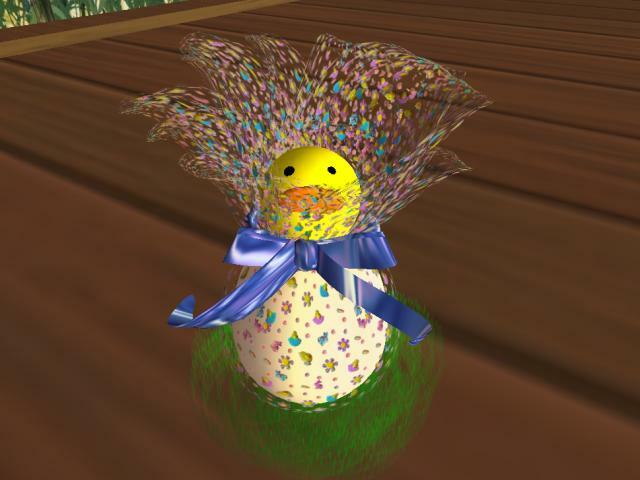 Decorate your egg and drop it on Libby Linden between April 11 and April 15 to enter it into the contest. A panel from Linden Lab’s community team will review and select the top dozen eggs received by April 15 at 12:00 p.m. (noon) SLT. The creators of each of the 12 winning eggs will receive L$5,000. We’ll announce the winners on April 20. But wait—there’s more! 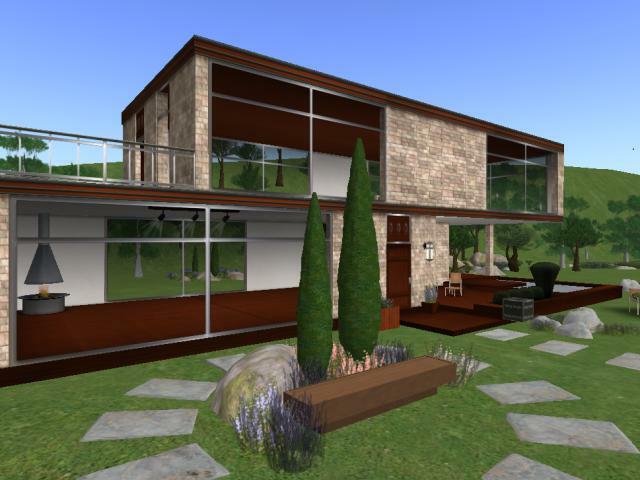 We’re going to put the winning eggs on display and invite the Second Life community to vote on the best of the dozen—and the creator of the one you pick will get an additional L$10,000! You read it right: The winner of the #1 egg in the contest wins a combined L$15,000! Contest details are here. The top dozen eggs will be hidden in regions featured in our Bunny Jam Destination Guide, which will be up next week once the Bunny Jam events begin. It’s truly a race—as each egg (and each egg’s L$5,000 prize) can be found only once! 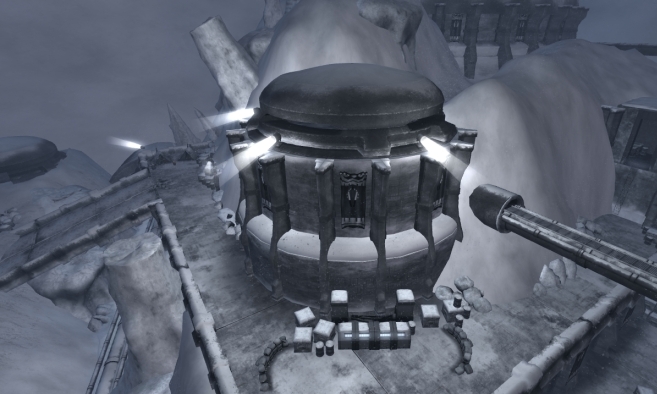 Once you’ve found an official scavenger hunt egg, take it and drop it on Libby Linden inworld to collect your prize. C’mon down dressed in your bunny best for Bunny Jam, the all-day music festival hosted on the Bunny Jam regions! We’ll be featuring live music and DJs from 6:00 a.m. SLT to 7:00 p.m. SLT. Be sure to share what you’re up to (with photos, SLurls, etc.) at Bunny Jam with your fellow Residents by using the #SLBunnyJam hashtag on Twitter—so fellow Residents can follow the fun! Channel your inner bunny with the freebies available in Shopkeeper Linden’s store on Marketplace! Bunny ears, bunny slippers, and a bunny tail are yours to keep and wear to the Bunny Jam festivities or give to a friend. But they’re only available on the SL Marketplace for a limited time, so hop on over to get yours today!